2013: Year of the species divergence? It can be a challenge to comprehend these phylogenetic concepts, let alone sift through the terminology. To many, the language of biology seems calculated to reveal little — other than raising speculation as to why Charles Darwin wound up marrying his cousin. That, however, is the thing about evolution: You don’t necessarily recognize it, even while it is occurring. There is no outside authority to advise you, in the manner of Madge the nail-lady in those ancient detergent ads, that you’re soaking in it now. Consider the matter of the latest tech-gizmo, Google Glass… which you probably will, once you grow tired of constantly needing to look up definitions of “phylogenetic” and other biological jargon that occurs in the scientific literature. Thinking, perhaps, that non-enhanced reality is bad enough, the use of Google Glass has already been banned in some public places, beginning with one tavern in Seattle that is not frequented by geneticists at playtime. The bar-owner expressed concerns regarding protecting his patrons’ privacy, and he does have a point. In particular, one question that will need to be addressed in this context is: Why would a barroom patron spend the entire evening paying for cosmopolitans while trying to get the telephone number of a certain individual, when his Google Glass can perform the feat in less than 18 seconds? As much publicity as the Google Glass have gleaned, a range of other bio-enhancers seem likely to become even more commonplace in the months ahead. Samsung’s Galaxy S4 mobile phone, just about to launch, will contain functions the company has branded as “S-Health.” Samsung claims the device can monitor your cardiovascular system (potentially for tachycardia, bradycardia, or arrhythmia), keep track of your sleep patterns, and estimate your burn-rate for calories. In other words, this cellphone could perform several of the tasks your family physician might have carried out, if only he hadn’t relocated his practice to Fort Lauderdale. S-Health and other similar apps are only the first wave of the coming quantum jump in mobile-health products and services. 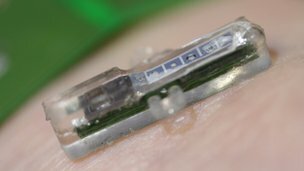 Scientists at the École polytechnique fédérale de Lausanne (EPFL) recently presented an implantable nanotechnology prototype of a subcutaneous blood-monitoring device that gathers data directly from the bloodstream, which is transmitted instantly to a physician or hospital — via Bluetooth, through the patient’s smartphone. According to Prof. Giovanni de Micheli, co-inventor of the gadget, “Potentially, we could detect just about anything.” He expects to have it commercially available within 48 months. Of course, you might not rush to entrust your bio-data, including your up-to-the-minute medical condition, to one of Canada’s wireless voice and data operators. If the phone companies remain true to their record, they will seize upon any advance warning of your impending myocardial infarction as an early opportunity to try to sell you a rental television for your coming week in the ICU. In the not-unlikely event that the shock of learning about these disruptive technological innovations causes your head to explode, rest assured that there is an app for that, too. A Connecticut company called Oxford Performance Materials won FDA approval this year for a computer-generated cranium replacement that is fashioned out of polymer through a 3D laser printer. The publication Science News reports that the first patient to undergo a procedure had 75 per cent of his skull replaced with an machine-made prosthetic in March of this year. Some regard this development as a bellwether, suggesting that the predicted era of computer-fashioned implantable bone and, eventually, organ substitutes has finally arrived. Will the second-generation deluxe models of these aftermarket skulls come equipped with one of Prof. de Micheli’s wireless interfaces, along with a nano-version of Google’s X-ray Specs? It seems foolish to think that they might not. Slowly — or, actually, not-so-slowly — the advent of these gadgets will force us to reconsider how we regard ourselves, our fellow citizens, the groups with which we affiliate, and the world at large. It may seem like breathless hyperbole to suggest that a spate of gimmicky new consumer products may ultimately force a re-examination of what it means to be human. 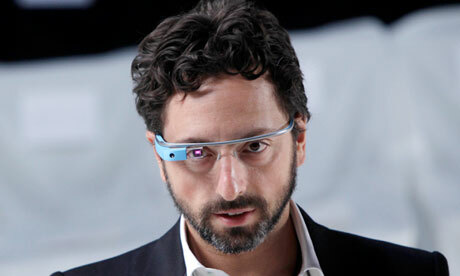 However, that’s precisely the case, when you imagine tomorrow viewed through the enhanced-reality lens of Google Glass. As uncomfortable a choice as it may be, businesses such as pharmaceuticals and biotech may need to determine where their broadest interests lie: in the cause of scientific advancement, or in the service of humanity. Because it’s beginning to appear that those two missions may no longer be the same.